Have you ever wanted to create candy cane shapes that are not just like a cane? 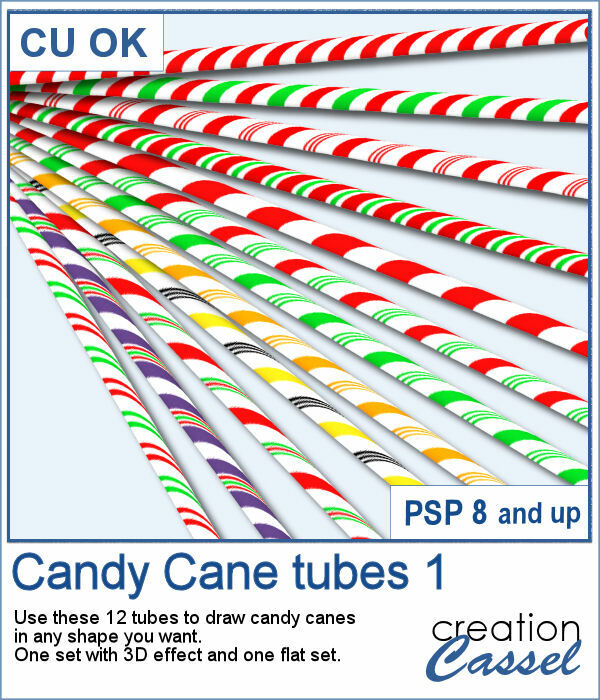 With these tubes, you can create candy cane circles, squares, hearts and anything in between. Since these are tubes, you can draw them in any shape, regular or irregular, and you can even just free draw them. 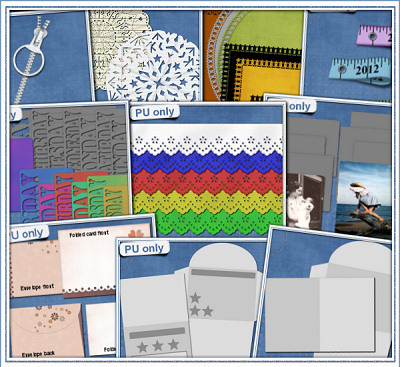 You get 12 different patterns and also in two formats: 3D and flat. In order to win these tubes, add a comment on this Facebook post telling us what is your favorite color of candy cane (remember, add a comment, not just a Like!) The winner will be announced in the newsletter, next week. Not a subscriber yet? Not a problem. You can register here and it is free (and you only get one email per week). 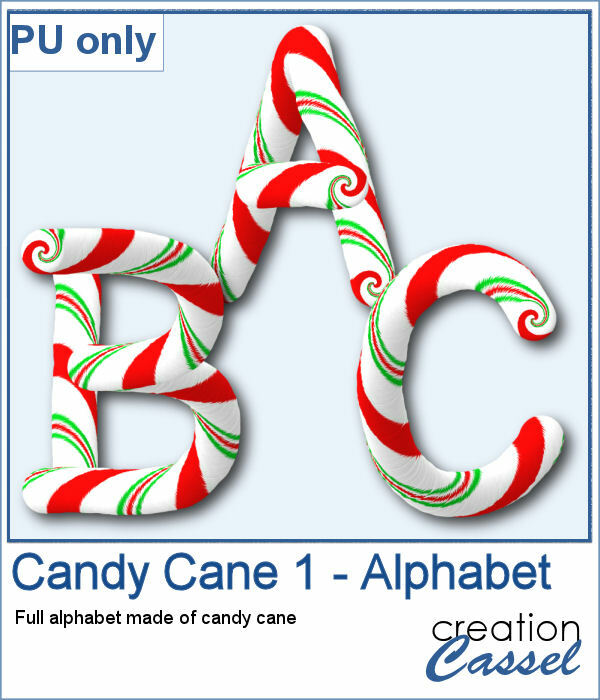 As a sampler, I created a simple alphabet using one of the candy cane design. Each letter is about 500 pixels high in png format. 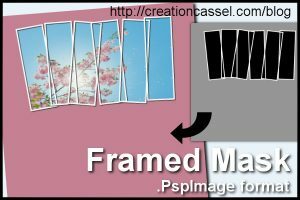 You can resize them as needed. Thank you so much I love this Candy Cane 1 Alphabet. I love the little curls in them. I like the candy cane alphabet. 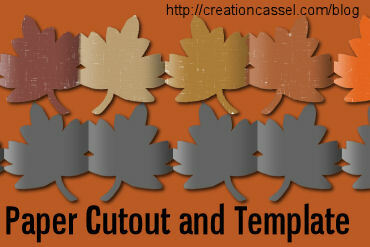 They would be perfect for Christmas projects.